Placed for NativTxn's Hiders and Seekers UNLIMITED contest. My first attempt at a WebCam cache. A GPSr or smart phone. A friend at his/her computer with an internet connection or web enabled smart phone. A mobile phone to talk to your friend if necessary. 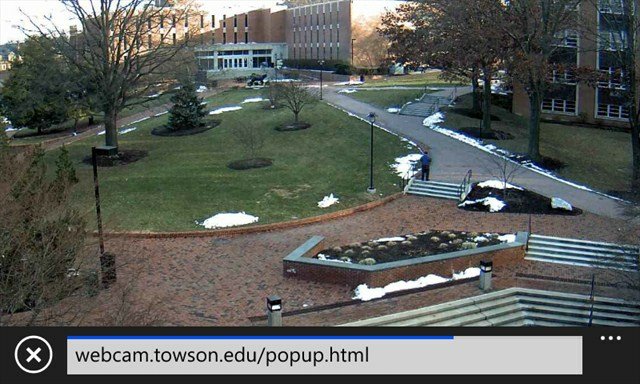 How to find this webcam cache: The camera moved since publication. It is now on the other side of the court, but the coordinates will get you there. Go to the coordinates of this cache. Look to the SE side of the court and point towards the Tiger. 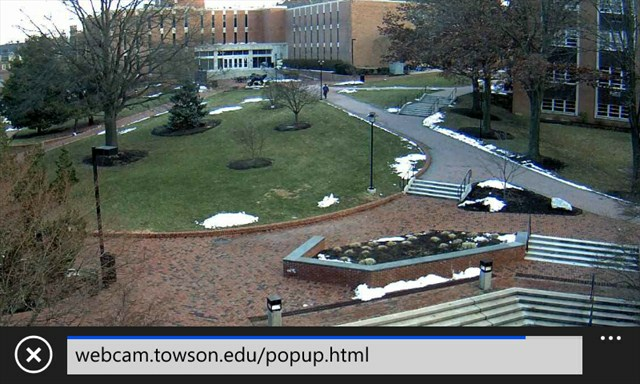 Call your friend (if necessary) and have them go to this site; http://webcam.towson.edu:443/popup.html Let them guide you on where to stand for the best picture (the closer to the camera, the better). When your friend sees a good shot of you, have them right click on the webcam picture and save the image. Only photos taken after this cache was published are allowed. Log your find and attach the image that your friend (or you) saved. I do not own or control this webcam and do not get any warning when this camera is down for maintenance and/or repair. 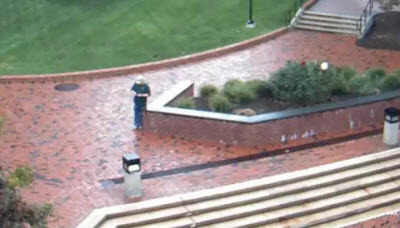 If the webcam is not working, a photo taken of you at the cache site is acceptable. 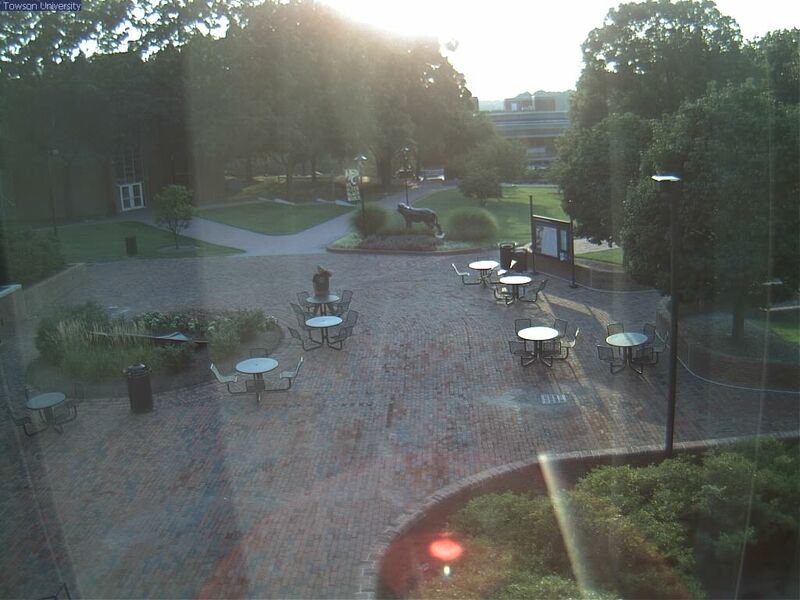 Be sure to state that the webcam was offline during your visit. Be sure that both you, the Tiger, and your GPSr are seen in the picture. Although I tagged this as an OCNA only cache, there is however a GC.com WebCam cache here as well, which I do not own (current owner travelon62). I used it as the basis for this cache. Coordinates and description updated to new camera location. This seems to be a much better camera now as well. Had a heck of a time finding this. Tromped all over campus. Plus it was move in day, so parking was at a premium, and people were all over the place. Except here. Dorms, mostly. Anyway, I finally figured it out and got my webcam photo. Thanks! 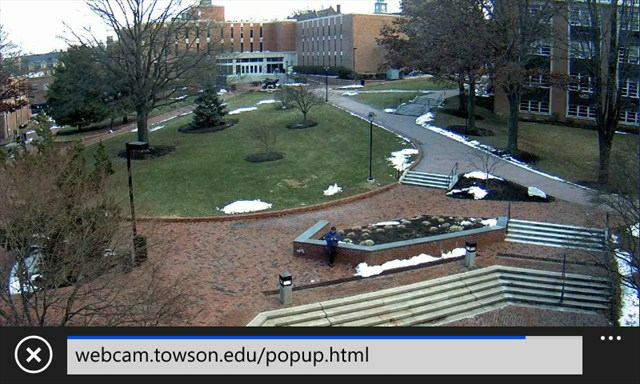 At first I got frustrated from not finding the location of the webcam and deemed this a monumental waste of time.... until I made the proper turn and headed under the webcam. I noticed all the things I was looking for, and the feed I was tracking on my phone of the webcam showed myself. HELLO! I took a screenshot of myself at the location everyone seems to be choosing, then of myself walking up toward the tiger, and then nearing the tiger for closer examination. 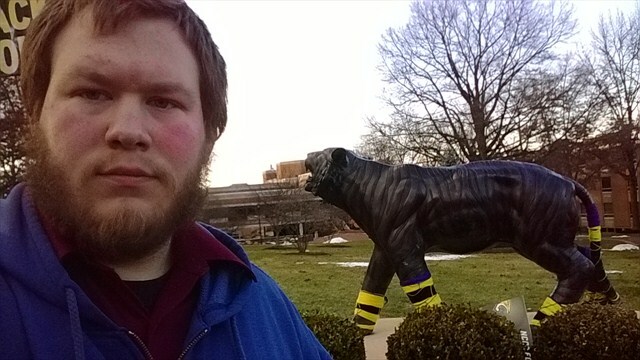 I also took a picture of myself at the site with the tiger chilling in the background. Me with the tiger -- Oh dear! Look at that beard! 3511. FTF! Headed over here after the MGS Summer Picnic at the McKeldin area of Patapsco Valley State Park. It was only 10 miles and one of the few OC caches I've not found in the state. Had a bit of deja vu here, for some reason. Coords are much better then when I was here for another webcam a while back. Again, though, my phone didn't help, so I had to call for help. Walked Dudley's Mom thru pulling up the pic and saving it. Being a weekend, I was able to legally park just about 200-300 feet away, in the closes parking spot. Sweet! I took DudleyGrunt's suggestion of updating the coordinates on this one. Hopefully no one has loaded their GPSr with the original ones.